We all watched as the flag came by. It was the first thing in the parade, of course. Great big one, carried by two of the kids from the ROTC at the high school. The bands followed, along with the mounted patrol, the ski patrol in their summer-weight jackets, the float with the princesses on it, and the local kids leading dogs and cats - some rather reluctantly - on leashes. For some of us, the Fourth of July parade is a chance to see just how much the local kids have grown over the past year. For others, it's a chance to see something that is really ours. This is our valley. This is our town. This is our parade. These are our people. These are the people who make our little valley unique in the whole world. This is a chance for us all to get together and celebrate us, you know? But all that comes later. What comes first on this day above all others is the American flag. Oh, it's a great big one. Where they found this one, I don't know, but it takes two high school boys to carry it. It really doesn't matter what size it is, because it's what it means to us that counts. To Herb over there, there are memories of his terrible days in Korea, I'm sure, and the wounds that sent him home early. To Doc, maybe it's the way the G.I. Bill let him go back to college and fulfill his life's dream of taking care of sick people. To Annette, over across the street there, there is a look in her eyes that tells us that flag meant she could protest whatever the complaint-du-jourwas during her college days. She knows there are few places in the world this tolerant of unpopular opinions. And then there's Dewey down on the corner. He's got his hand over his heart as the flag goes by. Maybe he's thinking of a country that will allow him to start a business with a borrowed pickup and a shovel and supply our flower beds with fertilizer. He sure wasn't able to make anything else work for him. And today this accident-prone pal of ours has branched out into fishing worms and compost. But these are just speculations, because what the flag means to each of us is personal. We don't have to tell anyone. We never have to explain. We even have the freedom not to be here looking as the flag goes by. It's an American thing. A very private American moment. 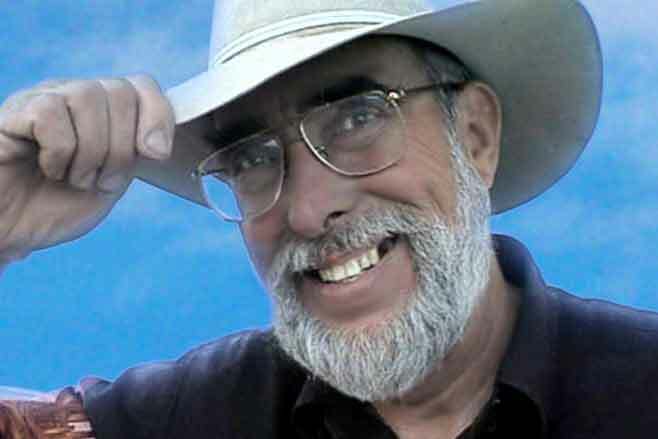 Windy Wilson fans can listen to his philosophies on Home Country with Slim Randles on your local country music station. Dear Dietitian – How do I lose belly fat? EarthTalk – Would year-round Daylight Saving Time help the environment?